SHORTLY after reaching the Hartley Valley in 1813 the explorers Blaxland, Lawson and Wentworth turned around and headed for home, having crossed the great divide. 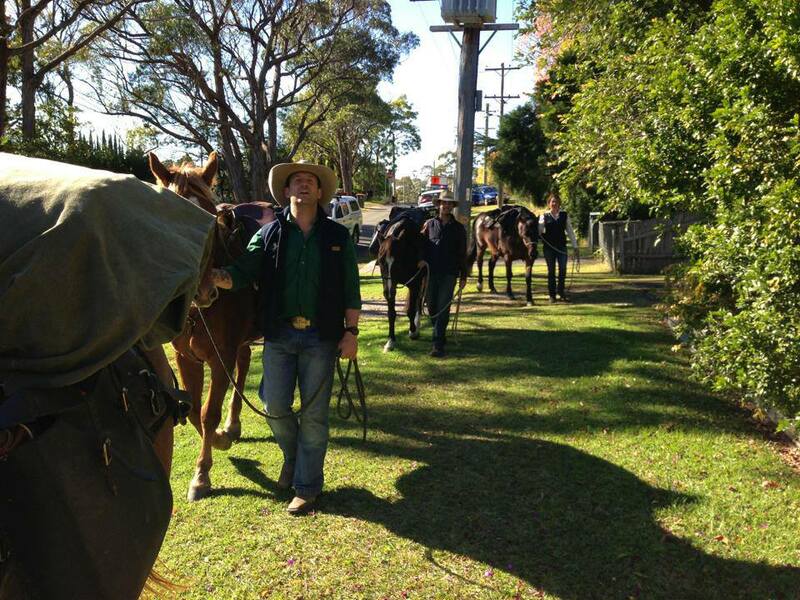 It will be a different story for the horses, their handlers and a ‘convict’ in the Blue Mountains Blue Wave bicentenary re-enactment of the crossing currently taking place. The Hartley Saddlery staff and their horses will be getting back to their normal grazing grounds when they reach the valley. The horses being supplied for the re-enactment first featured in a promotional photo shoot at Hartley Saddlery last December. 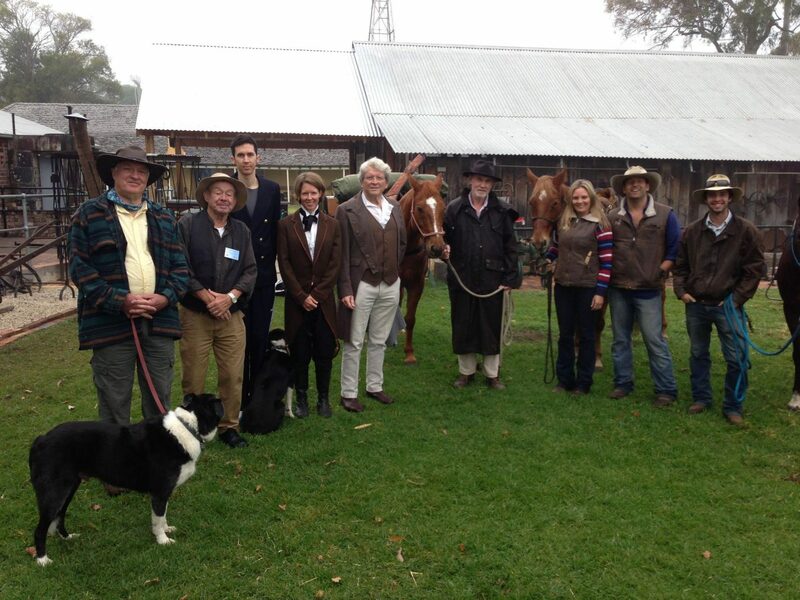 Owner of the Hartley Saddlery Kristie Nilsson said that the organisers then asked for their owners to come along as none of the other members of the explorers’ party had a lot of experience with horses. Kristie said the re-enactment so far had been fantastic. Kristie’s husband Johan also was asked to come along as a convict. Somewhat unkindly it’s ‘something to do with his looks’ is the reason given for his involvement. Johan will accompany the re-enactment for most of its 21-day journey, camping out most nights with the other party members. The walk is having to secretly camp out due to State Government red tape concerning public safety. 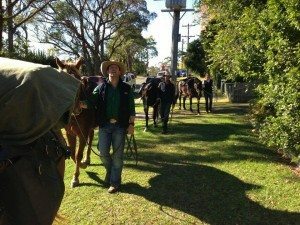 Johan said bringing the horses along for the walk has meant working through some other red tape issues concerning horses being in catchment areas and taking them into schools. “The logistics involving the horses have been extensive,” Johan said. With four horses involved most of the time, they have two vehicles following with floats, people to look after the horses’ health and the job of keeping them well fed. He said Adam’s Shed in Hartley sponsored the horses by supplying the feed, farrier Pat Brown has been on hand when needed to look after the horses feet and Dr Michelle Monaghan from Lithgow Veterinary Hospital has provided support. So far there have been no problems with the horses, Johan said, despite walking long stretches on concrete or roads. 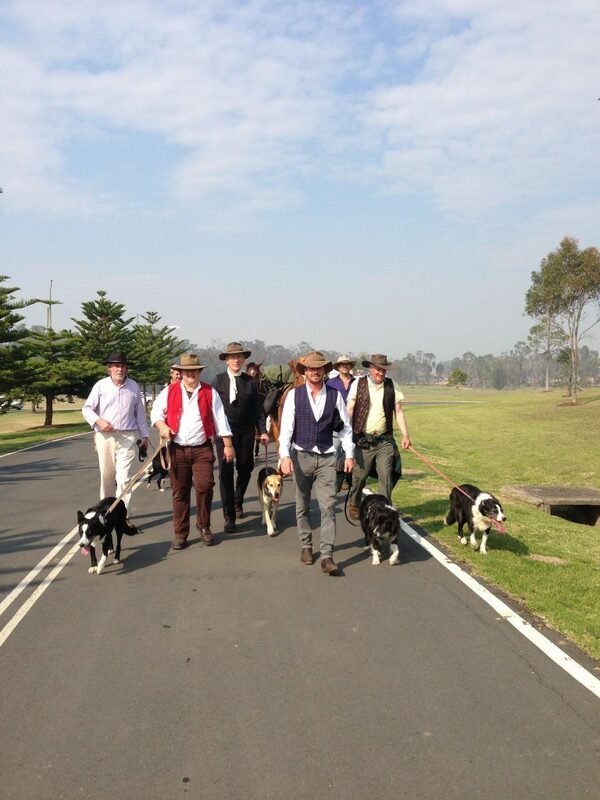 Horses and staff are being rotated on the walk so someone can still be at the saddlery and the horses get a break. Staff members Vanessa Boyd and Josh and Kristy Logan will all lead their horses along sections of the walk.The re-enactment is following as close as possible the route taken by the explorers and the original time frame. 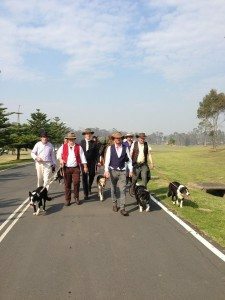 This means there some rest days on the walk, like the re-enactments three-day stopover at Norman Lindsay Gallery at Faulconbridge, similar to the explorers who spent the time at the same spot trying to find the right ridge to follow. The Blue Mountains Blue Wave will reach Mount Victoria on May 27 where they will camp for the night before heading down into Hartley the next day. Troy Walsh needs to hone up on his geography. BLW didn’t cross the great divide, otherwise they would have found western flowing rivers. For all their struggle across the mountains, they ended up on the banks of the same river they had crossed three weeks earlier.